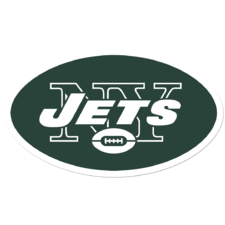 With the major coaching decisions now made I thought I’d take some time out to watch tape on this years draft class and look ahead to the upcoming free agency and what we can expect the Jets to accomplish. I will break this mock down as it happens and go through the thought process during each step. Clearly these are just projections but I aim to be realistic with both the huge amount of money we have to spend but also the current culture the Jets are in and maybe not necessarily the top team for free agents currently. We brainstorm at Jets HQ with Mike Maccagnan, Adam Gase and Gregg Williams and look to address the key issues facing our football team. The most glaring areas are the protection of our franchise quarterback and surrounding him with better weapons on offense. Then transitioning to an attacking 4-3 system and finding the pass rushers and press cover men who help make the system work on defense. Our beloved Josh McCown (yes said with a little sarcasm) is brought on board as a offensive coach and mentor for Sam in a move which really suits all parties as McCown is not the answer for a team looking to break through to the playoffs (if Sam got hurt). We start the offseason by resigning two guys that help each unit out. Robby Anderson is signed to a 4yr deal ($28m) and Darryl Roberts is rewarded with his solid play with a 3yr deal ($7m). With Robby we could of signed him as a RFA but wanted to give him the trust of a 4yr deal. As a still unproven player with off the field problems this deal my seem steep but there is plenty of get out clauses if the worst does happen and Robby spirals again. We bet on him having a big year and not then having him as a FA and potentially commanding double the money on the open market. 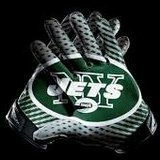 Within a few days we also agree to 2yr deals for both Henry Anderson ($7m) and Jason Myers ($4m) who impressed most if not all of us this year. Our coaching staff evaluate the bottom tier guys on the roster and are happy to announce that Rontez Miles, Brandon Copeland, Ben Ijalana, Deontay Burnett, Dakota Dozier, Jonathan Harrison and Neville Hewitt all sign on 1yr deals (vet min). Getting Andre Roberts signed was more tricky as he wanted more money than we deemed reasonable and although we want to bring him back we give him the opportunity to test FA as we feel we can replicate the success with another younger player if necessary. Coach Gase has studied every offensive play from 2018 and deemed both Spencer Long and Isaiah Crowell either not good enough (Long) or not the right fit (Crowell) so if no trade offers are found both would be cut saving an additional $9.5m in cap space. More on that later. Unfortunately some of the big name free agents are either resigned or franchise tagged. Demarcus Lawrence, Jd Clowney, Dee Ford, Preston Smith, and Frank Clark are all pass rushers we were identifying but all get signed up for the following year by their respective teams. In other news the qb market is littered with half measure options including: Teddy Bridgewater, Tyrod Taylor and the released Ryan Tannehill and Blake Bortles. This means the trade market is very high for this years draft and also vets like Joe Flacco and Nick Foles. As free agency approaches and the rumour mills hit 100mph we take stock of the four main areas we set out to dramatically improve this offseason. OL: Matt Paradis, Mitch Morse, Trent Brown, Ja’Waun James, Rodger Saffold, Daryl Williams. S: Tyrann Mathieu, Earl Thomas. JPP- TB would get a big cap hit by trading him so seems unlikely. They want a 3rd rounder. Antonio Brown- Both our 3rds and next years 4th would get it done. Jalen Ramsey- Jax want a low 1st/ high 2nd rounder and a 2020 conditional pick. DeSean Jackson- TB know he wants out so want to recoup a late round pick if possible. Sean Lee- Late round conditional pick as injuries and play of others has deemed his contract WAY to high. Now as free agency opens we exert all our efforts not on the playmakers and star names but in the people who will be paid quite handsomely to protect our franchise qb. As thankfully the offer for Paradis was accepted and the first signing of the FA period is our new starting Centre for the next 4 years. With the deal done relatively quickly our attention turns to the left guard position. We really need that middle piece between Paradis and Beachum and make the calls to Roger Saffold and Tom Compton. Our main target is Saffold who has shone for the Rams this year and has gotten better each season. Unfortunately the market is tough and we have to decide just how much Saffold means to us as our original estimate ($9m a year range) is not going to be enough. A new dynamic running back. Now everyone and his dog knows that we’ve needed true playmakers for years now. Very rarely is one of the best offensive playmakers in his prime hitting FA. This year is different as Le’Veon Bell is available. Now without putting all our eggs in one basket we do make calls to Tevin Coleman about potentially becoming our every down back. The deal for Coleman would average around $6m per year whereas Bell rejected the 4yr deal from the Steelers of about $13.5m per year. That means to get the deal done we would have to be looking towards $16m a year which is $10m a year difference from Coleman. As the interest in Coleman heats up we know we need to make a decision on what direction we want to go in. We make Le’Veon Bell a last offer which is basically a take it or leave it as we will go all in on Tevin Coleman. The offer is a fully guaranteed $45m over 3yrs with the final 4th year being a team option at $15m. Thankfully the deal is accepted and we announce the signing of Le’Veon Bell. The O-Line and Sam Darnold are ecstatic as they know this game changing superstar makes their life easier and can elevate the whole offense in both the run game and pass game. Our attention turns now to the defensive side of free agency. We have sent feelers out there and found deals with several pass rushers. Some want too much guaranteed money and some are looking for more established teams. We see Trey Flowers, Brandon Graham and Za’darius Smith sign elsewhere even though we offered good deals but for those reasons mentioned above it didn’t work out. Which leaves both Ziggy Ansah and Dante Flower as two players who we are interested in and the feeling is mutual. We want to sign a premier defensive end and then another cheaper option for the opposite side. Moving to the 4-3 we need to make moves to help Gregg Williams implement his system. Dante is wanting to bet on himself this year and is looking for a 1yr deal (not something we are keen on) but with enough persuasion and money a 2yr $15m deal is appealing to both parties. However the recently released Robert Quinn is also a player we would like to bring in on a team friendly deal. Our main pass rushing target is Ziggy Ansah and we are betting on him recovering from his injures over the last 18 months and bouncing back with a few big years. We offer him a 3yr deal worth $10m a year. This is right there or thereabouts with the other pass rushers who hit the market. His agent is seeking a deal around the $12m a year mark and with some heavy competition for him we decide to get the cheque book out and get the man signed. Coming back slightly to our second option opposite Ziggy....our decision comes down to potential or production. Both Fowler and Quinn would cost similar money, Fowler has youth and potential but only 16 sacks in four years to his name. Quinn on the other hand has 69 career sacks and is familiar with Gregg Williams from their time together with the Rams and Adam Gase last year with the Fins. We decide that we for sure want to go down the pass rushing route with one of our picks in the first four rounds in this years draft so decide that going for Robert Quinn would help in the short term but also in the development of our younger players. Robert Quinn is signed to a 3yr deal worth $19m. The phone has been ringing through the offseason for a couple of our players.....Isiah Crowell and Jordan Jenkins. They have both generated some interest. Crowell has been targeted by teams looking for a thumper style runner. At 4.8 yards per carry average and 6tds last year he is someone who we would like to keep around but with the signing of Bell and the system we are running with Gase he is not going to be effectively used. Tampa Bay have been a team we have been in regular contact with as they like both Crowell and Jenkins. We agree on a trade that sends both players to TB (Jenkins helps Bowles convert their D to a 3-4) in exchange for the disgruntled DeSean Jackson who doesn’t want to play in TB and a 2020 6th round pick. DeSean brings an experienced playmaker who can thrive within a system that will look for more big impact plays and creating yardage in chunks. To make him happier we add an extra year to his deal at $10m. This has him signed for two years at a reasonable amount for a player with his skill. This does unfortunately end our interest in AJ Green and Antonio Brown. Both players didn’t seem keen to join us with more established teams making deals for them. The cornerback market hasn’t been as crazy as first thought with the talent level in the draft. Ronald Darby and Steven Nelson (who we liked alot) both rejected our offers and signed elsewhere. We however do like both Bryce Callahan and Justin Coleman. Both fit a big need with us letting our starting nickel (Skrine) leave in FA. Callahan is looking for a deal averaging $9m a year. Seems incredible as a slot cornerback but we feel we are happy to spend that amount on someone who will play a huge amount even if they are not a ‘starter’. As the deal seems to look like it’s done Chicago matches our offer and he resigns with the Bears. We are upset as it meant (by putting our efforts in Bryce) we lost out on Justin Coleman too. Our fall back option was to look into the idea of signing Tyrann Mathieu and having him play Safety in base packages (let Jamal play linebacker) and then have him in the slot in nickel packages. He is looking for $10m per year on a four year deal and when compared to Earl Thomas being offered $12m a year we decide it’s money worth spending. He brings more as he’s a safety/slot corner/PR/Blitzer. He is a rare breed of complete defensive playmakers who we need to sign to start creating more turnovers. Gregg Williams is banging the table to get him signed and Jamal already is getting out the red carpet for his LSU brother. We then announce the signing of the Honey Badger on a 4yr $40m deal to help solidify our defense. We still have a need at corner and may bring in some guys before/after the draft. More on that later. The options at wide receiver have reduced massively as Adam Humphries, Jamison Crowder, John Brown and Golden Tate all reject our advances and sign multi year deals elsewhere. Devin Funchess is someone we would of liked also but he signs a 1yr deal with the Patriots no less and will test the market next year. We decide to wait until the first few days die down to see how we can attack the wide receiver position. Cole Beasley is a player we liked as he’s someone that in the slot could excel (like Landry did for Gase) and be a safety blanket for Sam, especially on 3rd downs. We were hoping to make a bigger move (Green, AB) but as those moves didn’t come off we again contact Beasley’s agent who says he has an offer of 3yr $18m to resign with Dallas. After some haggling we agree to a 3yr $21m deal but unfortunately we are matched by Jerry Jones and Cole stays a Cowboy. After entertaining offers elsewhere we do agree to a 2yr $5m deal with Andre Roberts who is rewarded with his play as our KR & PR. He is someone who also can chip in at WR and therefore another asset in the ‘big play’ mantra we have set out to produce on offense. The star name players have now all signed up and the market is becoming more thin and attention is starting to turn towards the draft. We are looking for another vet receiver but feel comfortable with DJax/Q/Robby/Roberts/Burnett to go into the draft and add another guy. We could also address WR again after the draft. The dominoes are starting to fall around the league and some of the bigger moves have been in the QB market. Like stated earlier the FA qb class wasn’t great and filled with backups. The interesting names belonged in the trade market with Nick Foles and Joe Flacco receiving plenty of interest. Baltimore doesn’t want to trade within the AFC and agrees to send Flacco to the Tampa Bay Bucs for a 3rd rounder. He provides competition for Jameis and is the pocket passer that Bruce Arians would love. Nick Foles has generated interest from the Jaguars, Broncos and Dolphins. After seeing Foles first hand beat the Patriots in last years SB the new coach of Miami (Brian Flores) surrenders his 2nd rounder to Philly in exchange for Foles and a 5th round pick. As the combine and pro-days come to an end and the draft is around the corner we begin to explore the possibility of moving up to select one of our top targets. Nick Bosa and Josh Allen are far and away the best players on our board and we would love the opportunity to take one. The general consensus around the league is that both the Cardinals and 49ers will be taking both pass rushers with their respective picks. Raiders, Giants, Jaguars, Broncos, Dolphins, Redskins and Bengals. All of the teams mentioned above have a huge need at quarterback. They are all scrambling to get their own franchise qb and ironically enough the three teams at the top of the draft all have their own one in house already. The problem with either the Cardinals or 49ers trading down (even as far as #4) would mean they would lose out on the two coveted pass rushers as they know we would love either Bosa or Allen. Therefore the offers made aren’t enough to justify trading back. We actually made a call to both teams and the price to move up even one spot was enough to see the tears run down Mike Maccagnan’s face. With both pass rushers gone (as good as anyway) we turn our attention to the rest of our big board...it stands as follows:. We would love to select a pass rusher to unleash on 3rd downs (whilst having the veteran presence of Ansah/Quinn) but feel #3 is too early for Ferrell and therefore maybe creating the force from the inside (partnering Leo) would be a better option. Both Quinnen Williams and Rashan Gary would create havoc for QBs on this d-line. We feel that as good as Greedy Williams and N’Keal Henry are they are not #3 worthy and would take the better player (even though DT isn’t a need) as it’s all about improving the team with this high of a pick. Draft night begins with the inevitable trade talk and we’ve been in negotiations for weeks now with teams looking to trade up ahead of the Raiders and select Dwayne Haskins. Mike Mayock and Jon Gruden are enamoured with Haskins and want him as their future qb. One of most interesting options out there is a deal with the NY Giants that would see us receive their 1st (#6), 2nd (530), 5th (135) and a 2020 3rd. Now as we have prior experience jumping from 6-3 to get a QB we feel it’s not enough compared to the three 2nd rounders we gave up. So we extend the deal to include their WR Sterling Shepard. The Giants are bulking at the deal and don’t want him to be included. As that deal is being delayed and more offers are coming in (better ones every time the phone rings) we get the customary offer for the Raiders to jump up a spot to secure their QB but our valuation for the pick isn’t to their liking and a deal can’t be made. Thankfully though there is a team out there desperate for a QB and they also have a disgruntled player who we’ve already been in contact about a trade earlier in the offseason. It’s all beginning to fit...we just need to get the right deal made. With the tough decision in the balance the Giants call us back and offer us the deal we wanted minus this years 5th. So that’s 1st, 2nd, 2020 3rd and Sterling Shepard. With both deals on the table we are able to twist the Jaguars into submission to include their 2020 3rd rounder and forgo the 6th rounder this year and go ahead and make the trade! Jets: 1st(3) ——Jags: 1st (7), 2nd (38), 2020 3rd and Jalen Ramsey. Now thoughts on the deal.....we had so many enticing options including multiple 1st rounders from the Bengals and Redskins. However we feel getting the 2nd rounder back this year and adding a high future pick next year is good business. Throw in a one year removed all pro cornerback and it’s a deal we can be very pleased about. Now we have several trade down options here and like the fact that we have Ferrell, Jonah, Gary, Henry and Oliver on the board. We have received an offer from Cincinnati to move down to #11. With only one of the top three QBs on the board we’ve had numerous offers but the Bengals are offering their 1st this year (#11) and next years 1st for pick #7 and our 2020 4th rounder. It’s a steep price but with Denver looking to jump up from #10 and even the Lions considering going for a new QB at #8 it’s a trade Cincy have to make. (In a corresponding move they trade Andy Dalton for a 4th round pick to the Washington Redskins ). Then the following happens: Denver trades back from #10 and the Atlanta Falcons come up and take Rashan Gary. Right from under our noses as he was going to be the pick. After doing so they rescind their 2019 option on Vic Beasley (this apparently is happening regardless if Atlanta get a new edge rusher) but more on this later as it will effect us. Do we get the talented offensive lineman who can start right away at guard/right tackle and then take over from Beachum next year....Or the wide receiver who could be the next big time playmaker with elite size and athleticism? With the 11th pick in the 2019 NFL Draft the New York Jets select.... Jonah Williams -Offensive Lineman - Alabama. Now we are sitting happy after the first night of the draft comes to an end. We have turned our #3 pick into two starters with Pro- Bowl expectations in Williams and Ramsey plus a second round pick this year and an amazing bonus of a an additional 1st in 2020. However that doesn’t mean our wheeling and dealings have ended. We approach the newly released Vic Beasley and offer him a 1yr deal to revitalise his career after two poor years (5 sacks in each). The offer is incentive leaden but it means we have the option to see who fits better in our team after the year..Robert Quinn or Vic Beasley and move on with one of them for 2020. Gone are then days of no pass rush guys!!!! Our target with our second round pick is either Marquise Brown or Hakeem Butler to give Sam Darnold a go to receiver for many years. We wait as the picks continue to fall and both Brown and Butler are on the board until the San Francisco 49ers (who already added Golden Tate in FA) go and draft the 6’5 monster Hakeem Butler with the 36th pick. With the 37th pick in the 2019 NFL Draft the New York Jets select...Marquise ‘Hollywood’ Brown - Wide Receiver - Oklahoma. So that concludes our 2019 draft. I will explain the thought process and a little more details about the players selected. After trading back twice we didn’t end up with one of the very few blue chip prospects but in Jonah Williams we have a versatile, talented player that will hopefully be our LT for the majority of his career. He needs to improve like all young players so I think a battle at the RT spot with Shell this year before taking over at LT next year would be the ideal scenario. However if he surpasses expectations in training camp he could start LT and we move on from Beachum. With the second round pick we engineered with the trade down with the Jaguars we selected a home run type offensive playmaker in Marquise Brown who has elite speed, quickness and big play ability. Many see him like a DeSean Jackson type so who better to mentor him than the man himself. We project Brown to split time with Enunwa in the slot and provide us with some big plays. So with the 68th pick we selected Connor McGovern who is a big offensive lineman that wins with agility and quickness and will help improve the whole lines pass protection (something that was a key point at the beginning of the offseason) He was a leader at Penn State and hopefully alongside Jonah will form two pieces of our line for the next decade. After three straight offensive players we revert back to the ‘Jet’ way and start picking some defensive players. First up at the end of the third round is Joe Jackson. He’s a 4-3 DE that provides great size at 6’5 260lbs. He is a long, lean athletic pass rusher that over time can develop into a starting defensive end. We won’t need to rush him (no pun intended) this year as we can help him on the practice field and under the tutelage of three successful pass rushers we have on board already. With the very early pick we have in the fourth round we look to create competition for the 4th cornerback spot and love the size and ability that JoeJuan Williams possesses. Now he for sure needs improving and working on his overall game but he’s a 6’3 press cover guy who could fit in a Gregg Williams defense very well. Add him to Ramsey, TJ, Mathieu, Roberts, Nickerson and Jones and that’s a secondary filled with talent, youth, experience and serious potential. In the 5th round we add some more size and talent to our defensive line. Greg Gaines is a player that slides down in the draft due to his limited pass rushing skill set but where his value lies is in stopping the run. That is something this man can do, and do it very well. We ideally have a training camp battle between Gaines, Pennell and Fatukasi for the starting job next to Leo in the base packages. Then rotate Anderson and Shepherd in on passing downs. Keeps everyone fresh and at their best. To conclude our draft we take Damarea Crockett, a running back who stands 5’11 225lbs. He’s a head down bruising back who would be a nice complement to the running back stable we have. Can’t expect a whole lot from a 7th rounder but we feel if he competes well in TC he will join Bell and Maguire on the squad. He offers the goal line/tough yards that Maguire and Cannon aren’t best at so he has a chance to make the 53. Sean Lee is signed on a 2yr deal to help transition into a 4-3 defense. Absolutely loved watching him play but injuries have killed the guy. He is released from Dallas as expected and we bring him over on a incentive heavy deal. If healthy he’s a starter and leader on defense but no way to know how this move will work until the season rolls around. We trade Brian Winters to the Carolina Panthers for a 2020 conditional pick. This will be either a 5th or 6th depending on the outcome of the 2019 season. The reason for the trade is simple, Winters has enough talent to play in the league but for a team looking to get younger and change the page so to speak we feel comfortable letting him go. Carolina get a solid vet to help protect Cam Newton. In a corresponding move we bring back Matt Slauson (can’t believe it was in 2009 when we drafted him) on a 1yr vet min deal as a veteran presence for the younger guys. He’s been injured but as a backup he should fit nicely. We sign the released Austin Seferian-Jenkins back on a two year cheap deal. We need another tight end and he had a nice year for us and he enjoyed his time in NY. Had a shocker of a year in Jax. We bring in Trevor Siemian to compete with Davis Webb for the back up QB job behind Sam Darnold. Overall we feel very happy about the talent increase in the team from top to bottom and also the potential of many younger guys too. Add in the bounty of picks for 2020 and we are setting ourself up nice to take over the division when Brady & BB decide to ride off into the sunset. We hit on the two big goals on offense coming into the offseason. One was protecting our franchise qb, we feel in signing Paradis and Saffold in FA that gives us a huge increase in play and leadership. But where we are really happy is in the selections of Williams and McGovern with premium picks to really make this offensive line the best we’ve had since the 2009 days. Our other goal on offense was adding playmakers to an offense that was lacking in that department. By adding Bell, Jackson and Brown we feel that’s three big time talents to take our offense to new heights. How will defenses plan for the ELITE speed of Robby, Hollywood and D-Jax? Whilst also planning for Bell, Herndon and Enunwa making big plays? Think it’s a nice position to be in for once from the Jets prospective. We will live and die by Sam Darnold over the next five years so our plan to make his life easier and help him develop with actual talent around him seems to have worked. With Gregg Williams implementing an attacking 4-3 scheme we needed to go get the pieces to make his defense excel. We feel we’ve done just that. By adding the quartet of pass rushers in Ansah, Quinn, Beasley and Jackson. We feel we have elite talent, potential, youth and experience to make this an actual strength of this football team. Add in Leo, Anderson and Shepherd in the middle and we could have our best sack total in the last decade. We want a ferocious pass rush and It’s clear we didn’t use the top picks in the draft on defense this year but with the trade down netting us Jalen Ramsey it’s a huge plus for this D. Add in the experience and leadership in Sean Lee and what he can do for the young guys and I’m liking the structure of how our team will operate. At cornerback we have basically swapped out Claiborne and Skrine for Ramsey and Mathieu. What a talent increase to say the least. Our plan for the Honey Badger will be to move him all over the defense. His elite skills at covering the slot and blitzing will be used frequently but he can interchange with Adams and Maye very easily to make us very hard to gameplan for. So that’s it guys. Hope you enjoyed the difference in this type of mock. Iv had some free time at night over the last couple of weeks so just been adding to it over that span. Been watching lots of college tape and even though it’s an extensive offseason plan Iv researched each component from draft stock, free agency contracts and players that are on the trade block/likely to be released etc. Iv used multiple sources and websites so any discrepancies I will apologise ahead of time. Hope it’s broke up your day in work or whatever as it’s only a bit of fun to enjoy. Xenia, I give you a ton of credit for writing this. I’m not trying to sound like a jerk, but I don’t have the attention span to read this whole thing. With that said, I’m confident it looks great. A lot of effort in writing this and I respect the Hell out of that. Overall I love the direction you have us going with it. Few things though that I disagree on. 2 trade downs if very far fetched is my initial issue. 1 trade down is difficult in itself, never mind 2. Next is DeSean Jackson. I have 0 interest in him and neither should our staff. What is his strength? A deep threat with speed (and he's not getting any younger)... wait... don't we already have that in Robby? There's 0 sense in having 2 1 trick pony deep threats. Especially for a HC/OC that likes getting WRs the ball in space and get YAC. DeSean Jackson shouldn't even be on our radar. Next is The Honey Badger... if he was going to come here, last year was our shot. Part of the reason we were linked even with him was Bowles being his father in law. Bowles is gone, so that rumor is gone. And Jamal and Mo wanted him being LSU secondary guys. Mo might be gone. I'd love to sign the HB, but I just think he's not coming here. If he wanted to, he would have last year. Now regarding the DE spots... I try and look at the coaches and GMs past to get a gage. IMO I think we sign Fowler Jr. and Quinn this offseason and here's why. We had a ton of interest in Fowler in the offseason in a trade and at the deadline, but didn't want to give up valuable picks for him. What does that tell us? That Macc likes him. So we know he will be a target as a UFA. Quinn has a vet presence for us and a good history with Gase and Williams. Just trying to look at what makes sense, not what we want. Next lets go to the draft. I actually really like the players and all you have us targeting. With the multiple trade downs its hard to say how real it all is, is the hard part. Its for sure an offseason that makes us a playoff contender and a legit team. But how realistic it is, is very minimal to me with 2 trade downs and a trade for Ramsey. I skimmed most of it but nice write up. Seems really optimistic looking at the depth chart. I do really love the Jac trade and would be thrilled to do that. Seems really unlikely that Ziggy would sign for 10M only. Plus I'm pretty sure HOU isn't letting Honeybadger leave and he wants to be back as well. Nice write up. I enjoyed the read. Free agency does feel a bit optimistic. I agree with you that a lot of the edge guys will resign with their own teams though. So coming out with Ansah and Quinn would be solid for the next 2 or 3 years. While I like the draft trades, I just don’t see them happening. They would be great though. Personally, I’m expecting us to stay put even though I would want us to trade down. I like your draft board. I also like the guys you have us targeting in free agency. To your list of targets, I would add Levitre on a 1 year deal if we are not able to land one of the top guards. And I would add Tavon Austin (for competition) on a 1 year deal if we are not able to add one of the better WRs. - DeSean gives us another dynamic playmaker which is what I was trying to achieve on offense. He killed it this year when healthy even with Fitz. I wanted a vet receiver and out of all the ones I mentioned I think I he’s the easiest to trade for. Would be unrealistic going good AJ/AB/Julio or someone like that. - The trade downs make sense in essence but like you said it’s difficult to achieve. I do think though that we are in a prime position to trade down (I think the Jags will go all in to get Haskins too) so I can see it happening organically. Ramsey would be a player id day has to be included if I was the Jets. - Not going to lie...the honey badger is one of my favourite players of all time (I’m an LSU fan) so it’s kind of biased but I take your points on board. I feel the key last year was he looked at the Texans as a upcoming team he could win with. We certainly were not that last FA period. This year we are so who knows?? Also “would you want your father in law as your boss”? I wouldn’t lol!! - Id take Fowler to be honest but with our unreal cap space I’d go for one of th more established rushers. Ansah when healthy is a beast and reading reports (guesses I’m sure at this point) but he’s someone we will be exploring apparently. Yeah I think the Jags are going to go all in for Haskins so Ramsey is someone I’d insist on if they try leapfrogging the Raiders. Glad you enjoyed it, was only done as a bit of fun. I would love to trade down this year and the cards have fallen nicely for us to do so this year. Hope Macc can get it done!! Fingers crossed we can entice some quality free agents this year with Darnold looking the real deal. I mean... i guess I'd be really happy if this happened. I mostly skimmed it but i like the trade backs and getting ammo for next year. Seems like we signed A LOT of big names, did you break down how the money would work out? Not sure if we could afford that Madden team lol. Well to be honest I don’t think I did sign ‘A Lot’ of big names. We have $100m to spend this year and I think the o-line and pass rush will be invested heavily. I mentioned maybe 7 or 8 other pass rushers I would of liked and like I said I can see some turning us down because we ‘arent quite there yet’ but we will be appealing because of the money aspect and the team is heading in the right direction. I mean added Ansah (over 10 mill), Quinn (roughly 10 mill), Honey Badger (around 10 mill), Bell (around 17? ), Djax (exactly 10 mill) Paradis (roughly 12), Saffold (around 12), Simien (at least 5 minimum) plus the draft class. After those random guesses at contract numbers plus the resigning's we would spend 103.5 mill in cap space. That is also including the guys you cut, and our draft class which usually costs in total the amount that the teams 1st round pick costs. That is an FA haul of epic proportions. I am not against it, but I think it would be wiser to get a few choice guys in this class and go into next years FA with some money too as this isn't a strong class. Nice work on your off season and your thoughts regarding each move. I do think we spent too much money and would probably not include Quinn and Jackson. Actually getting free agents Paradis, Saffold and Bell would be enough for me to get excited for this year. I also love the idea of basically turning our first into Williams, Brown, Ramsey and a first next year. Nice job XENAJETS, I just hope Macc, is working as hard as you looking into all the Jets options for the off season.